Using IS-2016 Grade A, En-8, En-19, SS-410, SS-304, SS-316 or any other material as per customer’s requirement. As per IS-2016 Type A Punched Washers for Hex Bolts & Screws. As per IS 2016 Type B Punched Washers for Round & Cheese Head Screws. 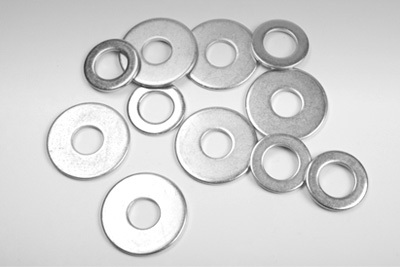 Any other Washers as per customer’s requirement.